Jet Set Smart: HAVE YOU BEEN TO TORONTO, "EH"? Having just jet setted to Toronto, Canada...I have one question for you..."Have YOU been to Toronto, "EH"? ("eh" is a common phrase here) If you are thinking Toronto? What's in Toronto? Let me tell you...there's a lot to see and do in this city. When most people think of traveling to Canada, they often think Montreal or Quebec, but let me tell you Jet Setters...because Toronto is low on the radar...it is waiting to be discovered! 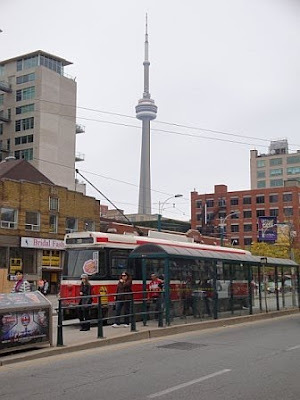 Toronto has so many cool neighborhoods, shops, restaurants, museums, etc. Out of most big cities I've been to, it most closely reminds me of Chicago. Situated right on Lake Ontario, it has the water and Harbourfront (that's how they spell it), the downtown with big buildings, and all that a big city has to offer. Toronto is a good walking city. It's also extremely ethnically and culturally diverse. You can check out Chinatown, Korea Town, Greek Town, Little India and Little Portugal all in one day! Toronto is definitely a great weekend getaway. I would say that you only need about 3-4 days total to get a good feel for the city. 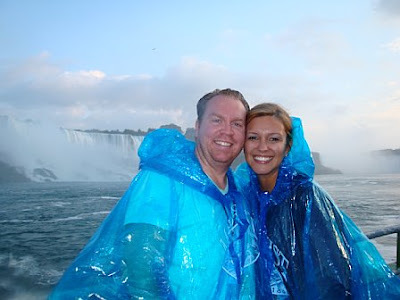 We also inlcuded Niagara Falls as a day trip in our itinerary (which I highly recommend). Bottom line...I will have a couple of posts about Toronto for the next three days...focusing more on Eating in Toronto, Shopping in Toronto, and things to do while you are here. For now, just give me this much...if you think you already know about Toronto...let me say forget everything you know about Toronto...what's that, you don't know about Toronto, eh? Well, give it a chance and check out why this place is so great!